The project involved the construction of an extension to the existing Ste Anne’s Elementary School located at 340 York Street in Ottawa, Ontario. Due to the poor existing ground conditions encountered at site a soil improvement program was required prior to beginning construction. 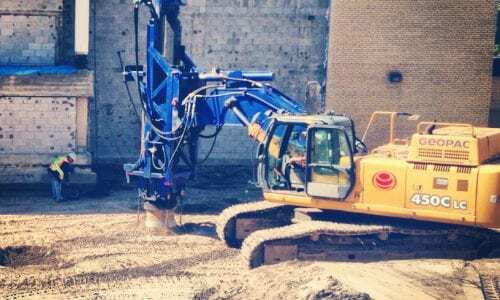 Menard Canada proposed a ground improvement approach consisting of Rapid Impact Compaction (RIC) using the Menard CanadaTOR to compact the soil with the objectives of improving the bearing capacity, controlling settlement, and mitigating liquefaction. 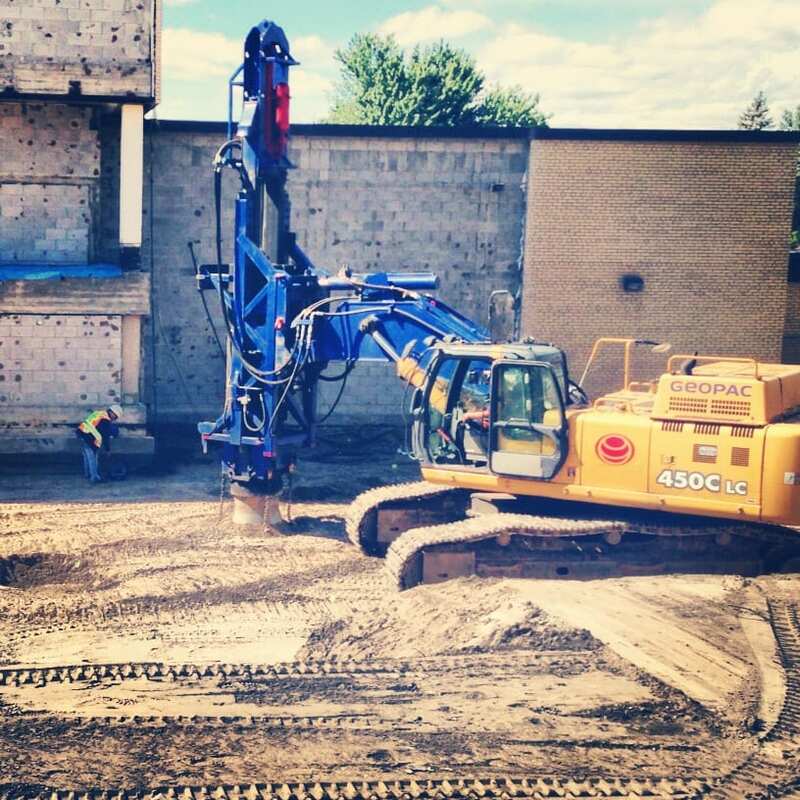 The soil improvement was necessary to support the future slab-on-grade and footings of the school addition. Based on Menard Canada’s design, the 1700 square meter platform was compacted in four phases using a 9 ton hydraulic hammer falling repeatedly from a 1.2 meter height. The number and spacing of the phases allowed for proper compaction at depth for the site. The ground improvement program occurred directly beside Ste Anne’s School. Due to the project’s proximity to the existing school structure, several precautions were undertaken to ensure that the integrity of the school remained sound. These protective measures included undertaking a pre-construction survey of the building, monitoring of the school for movement during works, and particle velocity measurements. The RIC program was completed on schedule, with all tests achieving the intended results. Menard Canada delivered a value engineering solution of soil improvement providing a cost-effective reliable method of ground improvement appropriate for the project and for the site.